Who doesn't love a dark, creepy, gothicky book about orphans in group homes speaking to the dead, mysterious strangers, arduous journeys, and homicidal maniacs? I usually do, but this book did not "stick" with me the first time I tried it. 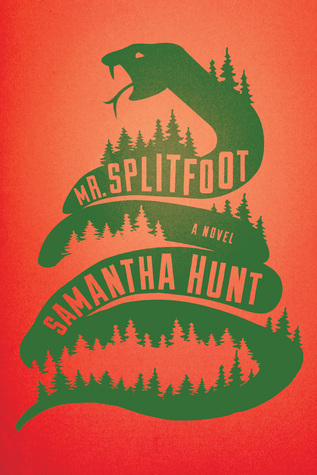 However, I picked up Mr. Splitfoot, by Samantha Hunt, a couple of days after Christmas, and I devoured it almost completely in one sitting. If I hadn't had to sleep, me and this book would've been one-sitting wonders. Ruth and Nat live together in a religious zealot's group home and cleave to each other like siblings. They perform for the other kids by pretending to talk to the dead, and when the mysterious Mr. Bell comes along, as if conjured from the air, they take their show on the road to get away from their guardian and make enough cash to live independently. Simultaneously, we follow the story of Ruth as an adult. She shows up one day, mute, but with purpose, and leads her niece, Cora, on a trek through upstate New York toward some nebulous end. 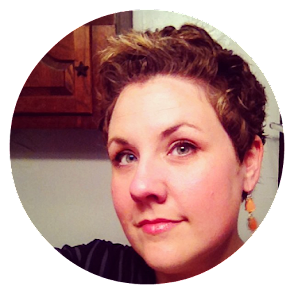 Cora, pregnant and confused, running from her own demons, takes the leap of faith to trust her aunt and turn herself over to something bigger. I am notoriously grumpy when it comes to dual storylines, but these were so artfully woven together, and linked by such sympathetic characters, I was absolutely on the edge of my seat anticipating what would become of Ruth, Nat, Mr. Bell, and Cora. As the shards of the story began to meet over the dual timelines, it was absolutely addictive. @estellasrevenge Magical realism? Or full on reality? I think I was expecting Mount Char and so gave up too soon. The promise of something supernatural hovers over this book from the beginning, but Hunt was deft at making me guess, second-guess, and flat out beg for the answer to that question. Is there any truth to Ruth and Nat's abilities? Is Mr. Bell an angel or a demon? Are any of those delineations so clear cut? I'm sure not gonna tell you, but I have to say, I found the book to have a satisfying outcome. Since I've mentioned this book on social media a few times, bloggers have come out of the woodwork to heap praise on Samantha Hunt's earlier work, and I can promise you I will lay hands on every single one of them sometime in the future between #ReadMyOwnDamn books. Maybe those other books will be good treats...a carrot to dangle for myself. Source: I received this book from the publisher in consideration of a review. I've shied away from this one b/c of my aversion to magical realism, but am hearing so much buzz about it! It really is unclear whether there's anything magical going on over the course of the book, and it's not revealed until the end what the answer to that is. So if you like books like Sarah Waters' Affinity, this might be something you'd enjoy. I'm just not sure this is for me but if I do decide to read it, I think I'll have to hide the cover. LOL, I was lucky to have a digital copy! It's not flat out scary, but it does raise some hairs from time to time! This does look intriguing! Sticking it on my TBR list right now. I hope you love it as much as I did if you get around to it! This one is SO deserving of a spot! I rarely get this excited about a book. Wheeee! Giving myself a pat on the back! It has been a while since I read a creepy book--I may have to give this one a try! I, too, think this book just screams The Library at Mount Char at first blush, but I'm excited to give it a run on its own merits! It just sounds too great not to. Hahah, definitely not as intense as Mount Char. Less in your face. More nuanced. Just...perfect. Ugh, love. I didn't really like Mount Char, and really enjoyed Splitfoot. I think the writing is WAY better, and the story comes together in such a great way. Mount Char seemed too all over the place for me, and this was WAY more my speed. Ooh, I'm also iffy about dual story lines but you've convinced me that I'll need to check this one out. I'm so glad! I think it's totally worth it! You've sold me! Off to hope the library has ordered it. All my fingers and toes crossed! Andi, my library only ordered one copy of this one but I'm #2 on the list! WOO HOO! I was sold, based on your previous comments; I can't wait to look back on this review afterward and add more to the discussion! YAYYY! Good job sliding in there early! Can't wait to talk with you about it! I'm actually a fan of dual storylines if they come together perfectly in the end. This one is on my priority to read list (reward after reading what I already own), and I love a little or a lot of paranormal/supernatural/magic, even if only alluded. I'd never heard of this before you started raving about it! I love dual storylines while also recognizing that they are one of the most tempting, yet most perilous, things an author can attempt. There are more successes than failures, but I think it just makes me more excited when I DO encounter one of the successes. I HOPE YOU LOVE THIS! I think you really would. REALLY really! Hahahah! I had a crop of review books I committed to (in my head) before 2016, so I'm getting those out of the way. I think I read more from my stacks at the end of December than I have here at the beginning of January. Womp! OMG This book sounds so good! I must read it! YAAAAAS! I hope you love the heck out of it. This one does sound like a doozie! I've been enjoying your enthusiasm in reading your own books. So far I've only read one of my own but I'm not letting it bother me. I went with a couple of my girls to the library right before Christmas and ended up checking out a huge pile of books. (Why? I have TONS at home I'm dying to read! Who is this person? I never go to the library!) We'll just call it holiday insanity. Anyway, most of them I'd been really looking forward to reading, so I've just hung on to them. I may make it through half of them, or I may only read a couple more - haven't decided. But, it's still a victory because I didn't BUY them. ;) February is the new January at my house...and I WILL #readmyowndamnbooks! LOL, library is the best kind of insanity. We went a week or so ago to let Greyson check out some books to re-invigorate his interest in reading since school is back in session. I took a stroll through the new book shelves to see what they had since I have a generally bad attitude about my library's limited holdings. It wasn't toooo bad. And my husband has a library card, so I can always pilfer their online collection if I need to stray from my shelves for a bit. We do what we can! I read Hunt's Tesla book a couple years back and mostly liked it so I should give this a try too. Cool! I definitely want to try more of her work. The Tesla probably wouldn't have blown my skirt up in premise if I hadn't read this one first. I skipped this because I don't do scary. But I don't mind Gothic or creepy, so this might work. Definitely more creepy in spots than scary. It's just such a wonderful book. YAY! I think you'll dig it! Interesting how it didn't grab you the first time but it was totally riveting the second try. Hmmm. I've not even heard of it before. I'm a fickle pickle, yo. Definitely going on my TBR list. Sounds like a great storyline and I still think that cover is great. Very eye catching. On the TBR this one goes! I see Rory also liked it!